The Internet has fundamentally changed the way people find, discover, share, shop, and connect. Inbound marketing is based on the concept of earning the attention of prospects and making your company more easily found online by producing content your customers value. In contrast, cold-calling, direct mail, radio advertisements, sales fliers and other forms of traditional advertising are considered “outbound marketing". Fewer consumers are subscribing to cable television. On top of that, more and more consumers are minimizing, or even eliminating, commercial interruptions by using DVRs or streaming their entertainment using services like Netflix, Hulu and Roku. More teens in the United States now listen to music via YouTube than the radio. And consumers continue to adopt digital music in the form of mp3 files and streaming services like Spotify and Pandora. This eliminates local commercial interruptions. 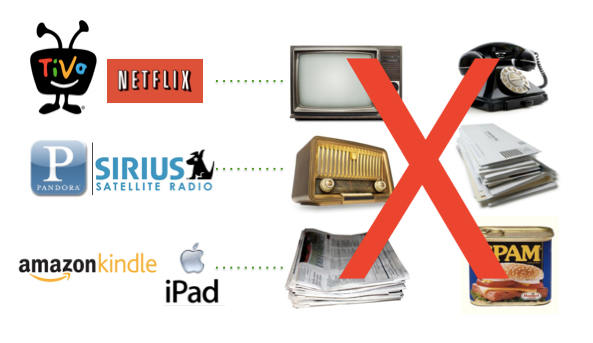 We’re not predicting the death of print but consumption habits have most certainly changed. Kindle e-books are now outselling books in print and more and more consumers are reading their local newspapers on their Kindles and iPads. Consumption habits have changed. Consumers have control. And they don’t want to be interrupted by your marketing message. Inbound marketing is especially effective for small businesses, like many in the green industry, that deal with high-dollar values, long research and buying cycles, and knowledge-based products. In these areas prospects are more likely to hire companies who demonstrate superior expertise in their industry. 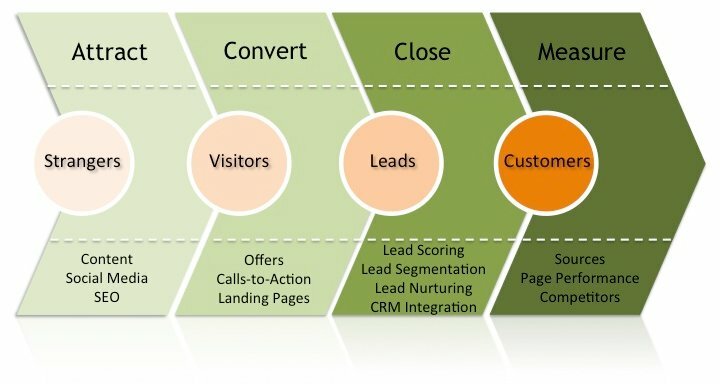 Because of this, inbound marketing is an ideal strategy for green industry companies. You don’t prove your expertise by running an advertisement in your newspaper or by sending a postcard. Advertising lacks credibility. You display your expertise over the long haul in the content you create and share. And while a fancy postcard will quickly be introduced to the nearest trash can, your content resides online indefinitely for new visitors and prospects to find month after month, year after year, generating fresh leads. That’s real impact. The content that drives the engine of an effective inbound marketing program is focused on building thought-leadership, being relevant and useful, and generating qualified leads for a business. This approach is in stark contrast to cold-calling, radio advertisements and other methods of traditional marketing that focus on interrupting a consumer's attention in the hopes of building greater brand awareness. Original content allows you to stay top-of-mind with your customers and prospects on a regular basis. When they are in a referral position or able to make a buying decision, they are thinking about you, not your competition. Your content gives you credibility. What if someone wanted to learn more about your company and you had nowhere to point them, like a website? What if you sent them to a blog or Facebook Page that hadn’t been updated in three months? You would lose credibility. Fresh content, optimized for search engines like Google, drives more traffic to your website where you are able to generate leads. The more content you have on your site the more opportunities you have to rank in search results. Your website should no longer be treated as simply an online brochure. It should be a dynamic hub for information and engagement, and the metaphorical front door to your business (from The Marketing Agency Blueprint). 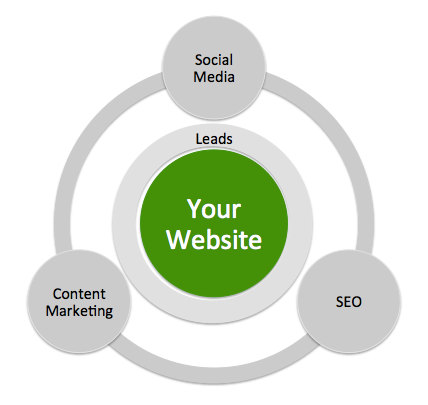 Social media, search marketing and content marketing each play a key role in a cohesive inbound marketing strategy. All three must work together--with your website at the core. Everything is connected and success depends on the integration of each key component. Potential customers find your business through the content you create and publish. Whether by reading your blog post or watching your video on YouTube, original content is what generates more traffic to your company website and, ultimately, generates qualified leads and new customers. Your business is fighting for the limited attention of your customers and prospects. You are also going head to head with your competitors fighting for the attention of the search engines like Google and Bing. Creating original and compelling content on a regular basis is how you win this battle for attention, yet companies are ignoring this opportunity. A very small number of companies in our industry blog on a regular basis (three to four times per month). Yet studies have shown that blogging results in a 55% increase in website visitors, and, companies that blog have 97% more inbound links than those that don’t (source: HubSpot, State of Inbound Marketing Lead Generation Report, 2010). Your content feeds your social media. It’s what gives your website a boost in search rankings. Picture a delicious cheeseburger in your hands: Your content is the meat. Social media is the tasty cheese on top and the bun is your SEO (search engine optimization). Without the meat--your content--your burger becomes nothing but tasteless bread and cheese. “Content is fire. Social media is gasoline.” So says social media strategist Jay Baer. Publishing a blog on your website is just a first step in the inbound marketing process. Your blog will attract both direct and organic search traffic, but as mentioned above, sharing your posts on your social networks can really fan the flames and attract more eyeballs to your content. Your real-time updates and activity on social media complement a more “static” website. This allows your business to stay top-of-mind and keep your customers and prospects up to date with what’s happening in your business. The more your business can participate in real-time, the more relevant you are. Remember the “social” in social media. Social media allows you to interact with the people who are most important to your business. Social media allows you to show people “behind the curtain” and humanize your company. Share your company story. Show your customers and prospects that you are more than just a big company or brand. Build your expertise and reputation by sharing helpful and useful information. Do more teaching and less marketing. Search engine optimization (SEO) has drastically changed over the past few years with more emphasis being placed on quality of content and links as well as social signals now being factored in. Search engine optimization does not require a degree in Rocket Science. It requires a basic understanding of how search engines work and a healthy dose of common sense. That said, SEO is not easy. Ongoing effort is required to rank consistently in the search engine results pages (SERPs). There is no one-time fix. Sure, your website needs to be designed up front with SEO in mind, but you also have to create meaningful content on a regular basis as well as participate in social media. The search engines like Google and Bing reward web pages with the right combination of ranking factors, or “signals.” SEO is about ensuring the content on your website generates the right type of signals. Your website should be the front door to your business. And it is your content, social media and SEO that will drive visitors to your door. You can do this...you just need to take the first step!